Deck building. Alien horrors. Future soldiers. Base defense. Once again, we step away from the couch and to the kitchen table for another edition of Tabletop Co-Op. In this series, we look for the best cooperative card and board games out there. Today’s game looks very much like a video game, with characters and enemies that would be at home in Halo or Gears of War. But Xenoshyft Onslaught is no video game, though it certainly can be as thrilling as the best that video games have to offer. Star Realms, Legendary (both Marvel and Alien Encounters versions), and the Pathfinder Adventure Card Game are among our favorites among the offerings we have covered for Tabletop Co-Op. Each of them share a common mechanic: deck building. In a deck building game, players start with a small deck full of basic cards, and add better cards to the deck as the game progresses. In Star Realms, your deck changes into a fine tuned machine very quickly, while in Pathfinder, your deck may only change a couple cards each game, but grows strong over a longer campaign. Deck building is a popular mechanic for a reason; it’s fun to see the choices you make over time add up to something special. Some would argue, and understandably so, that deck builders are too mechanical and not very thematic. I can certainly appreciate this point of view. Star Realms is more about the deck building and less about attacking with space ships. Marvel Legendary doesn’t do a very good job of making you feel superheroic, either (the Alien Encounters version, on the other hand, is very thematic). Xenoshyft Onslaught uses the deck building mechanic, so where does it fit on the spectrum? With strong co-op elements, different player powers and abilities, and a unique battle system, Xenoshyft Onslaught is high on theme, really making you feel as if you are part of the action. Xenoshyft Onslaught supports up to four players out of the box, and up to six with an expansion. 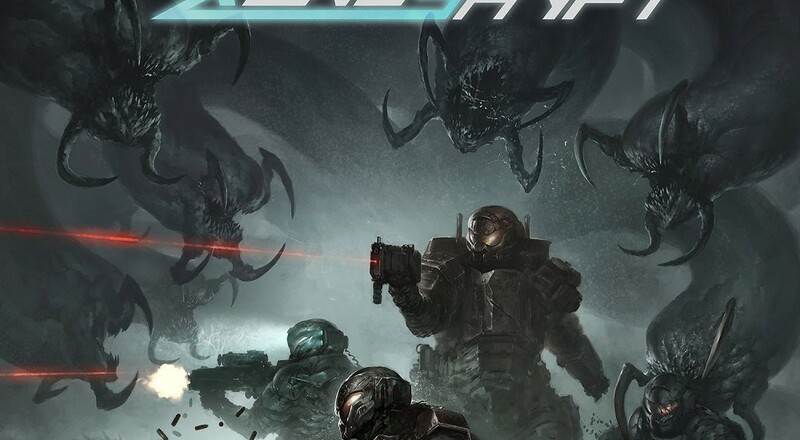 Players take on the role of the Nortec Military, futuristic soldiers who are tasked with defending their base from a hive of alien raiders. While the premise is not particularly innovative, the art and design elements take what could have been a very vanilla concept and make it sizzle. 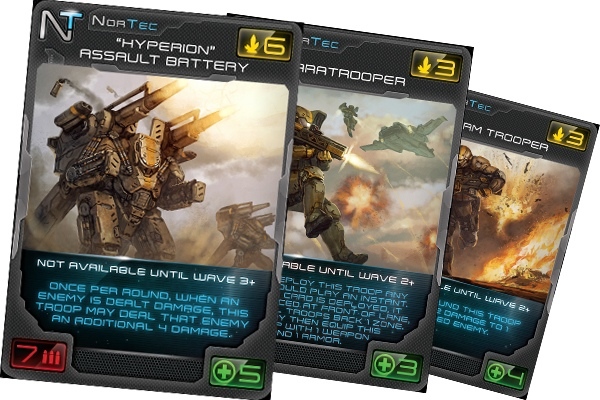 The Nortec troops and their items and equipment look fantastic, and the icons and text are the right balance of slick-looking and totally readable. I played with a friend who had the Kickstarter version of the game, and it came with a few extras like foil cards, a gorgeous play mat, and a neat little soldier miniature used for marking game stages. CoolMiniOrNot is known for great components, and Xenoshyft Onslaught is no exception, though it is quite different from the company’s other games. Page created in 0.9925 seconds.